André Galvão, also known as “Deco” is a Brazilian Jiu Jitsu black belt under Luis “Careca” Dagmar, having also worked extensively with Fernando Terere. Galvão is regarded as one of the greatest competitors to have ever graced the sport, a reputation conquered through important titles such as IBJJF World Champion, IBJJF Pan American Champion (8x), and ADCC champion (2x). André Galvão also competed in mixed martial arts (MMA), having retired from cage-fighting with a record of 5-2-0 to lead the Atos Jiu Jitsu Academy. Heading the team’s headquarters in San-Diego, CA Galvão established one of the strongest BJJ teams in of the modern era of the sport. Nickname: “Deco” which is a common shortname for André in Portuguese. *** The International Brazilian Jiu Jitsu Federation (IBJJF) awarded the title to Galvao after the tournament as Felipe Pena tested positive for PED’s. André Galvão was born September 29, 1982 in São Sebastião, São Paulo – Brazil. The Galvão family moved to Vale da Paraíba region when André was a child, and it was there that “Deco” initiated his martial arts education through judo. Calasans Camargo, father to ADCC champion Claudio Calasans, became involved in André’s judo life from early on having gifted Galvão his very first gi (kimono). André initiated his jiu jitsu career influenced by his brother who was already a BJJ student. Luis Carlos Dagmar, also known as “Careca”, was André Galvão’s first coach in this discipline. Careca, who himself was a former student of the Osvaldo Alves, soon realised André’s talent and advised him to go and train with Fernando Tererê. Galvão was only 16 years old at the time (two years into Deco’s training), but Dagmar believed André’s special talent would be better served in a more competitive environment, considering his own academy as too small for Deco’s future. Under the guidance of Tererê, André Galvão’s skills evolved leaps and bounds. Fernando was one of the sport’s main competitors at the time, a world champion and a Pound for Pound best in the early 2000’s. Galvão would follow Terere throughout his split with the Alliance team the birth of Master and shortly after TT , during a time span of almost 3 years where he remained undefeated in the purple belt division. During this period André was the first purple belt ever to win the IBJJF ‘Grand Slam’ (World Championship, Pan American Championship, and Brazilian Nationals). After 9 victorious months as a purple belt André received his his brown belt from Fernando. As a brown belt the victorious run continued, with only one loss, to Ricardo Abreu in the absolute division of the Copa do Brasil. 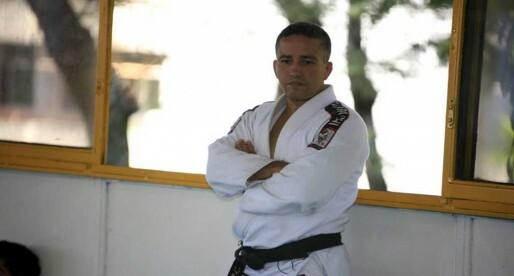 André Galvão was due to receive his black belt in mid 2005, unfortunately this clashed with a series of incidents that turned Tererê’s attention away from jiu jitsu. With Fernando absent from the sport, Terere’s right hand man and TT partner Eduardo Telles drove Galvão to the town where he grew up, so André could have the honour of receiving his black belt from his original instructor, Master Dargmar. As Tererê left the sport due to well documented personal problems, André Galvão ended leaving his team (TT) to join Brasa Clube de Jiu Jitsu. Throughout his early career Galvão believed in consistency and repetition, and unlike most top competitors, he dedicated himself to fighting in all tournaments, not just the major ones. He often mentioned that he relied on this to keep improving his skill set. Andre won 4 World Championships in a row, from blue belt to black belt (2002, 2003, 2004, 2005) wining his weight and the open weight classes in two years in a row – purple belt and brown belt division (2003 and 2004). He made the final in 2006 and 2007 but couldn’t capitalise on the 1st place. Gold came again in 2008. In that same year André Galvão joined the world of mixed martial arts (MMA) obtaining a submission victory over Jeremiah Metcalf, a former Strikeforce fighter. On October 2008 Galvão joined his good friend Ramon Lemos and founded a new jiu jitsu team. The pair had a strong evangelic background (André is also a deacon) and brought their religious beliefs to the mats, calling their name Atos (acts) as in the Acts of the Apostles book. Having turned into a professional MMA fighter in 2008, Galvão fought in some of the world’s top promotions, including DREAM (Japan) and Strikeforce (USA). He left Strikeforce by his own accord after a good year (2010). At the time he had plans to join The Ultimate Fighter TV show (as explained on his intervirew to BJJ Heroes on January 2010), though the plans did not follow through. André Galvão returned to jiu jitsu competitions on March 7 2010, winning the Abu Dhabi Pro trials in San Diego, California (under 183lbs), winning also the Pan American a few weeks later – submitting all his opponents, except Eduardo Santoro in the final. After moving to San Diego with his spouse Angelica Galvão (also an active competitor), Andre became the head coach of Atos head quarters while also picking up a position as a deacon in an evangelical church, Project New Life. Continuously “stepping it up”, Galvao was remarkable at the 2011 edition of the ADCC, the world’s most prestigious grappling event, winning gold on both his weight and the absolute division, proving why he is considered one of the best in the world. not to mention all the world and panam championships hes won at lower ranks. Andre Galvao has been a great influence to my BJJ development. I wrote a blog post about him and include a highlight video. andre galvao is my hero! i do my best to emulate his style everytime i train…..
glad hes back in competition… only good magical tech is to come from him! 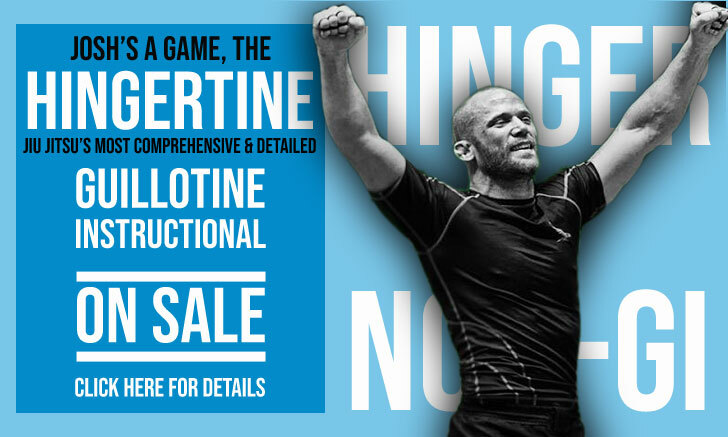 A terrific instructor in addition to being one of the best in the sport ever. His ability to teach is surprisingly refined for someone so young, he teaches with the precision of some of the older Gracies. As a competitor in 2008 he was the most impressive guy on the scene – bar none. Went up a weight division and ruined some of the best guys ever at the Pan Ams winning his weight and absolute, submitting almost everyone. At the worlds that year he again when on a submission spree, completely owning Braulio in the finals. He is the definition of modern jiu jitsu and changed the way the game is played. Proof is his match with Niño when as a new black belt he toyed with a veteran of the sport who was known for being a flashy innovator by seemingly breakdancing through his guard and all over his body. Watch that match with the lnowledge that Niño is one of the greats and be shocked. Guess you need to add 2011 NYC Ultimate Absolute Champion to this list eh? Thanks wasted, I have now. Completely forgot about that one.